Ever felt like you just overdid Christmas? Is your month longer than the money? Are the bills pouring in and you feel like you have no choice but to seriously cut back and work on paying off the bills? Now is the time to create a new income source to solve the situation once and for all. Are you holding off on your dream vacation, not building the dream home, buying the new car or figuring out how to pay for college for the kids or a wedding? 2016 is the year when you can change it all. There is no question in my mind that the health and wellness field is one of the strongest markets. Baby boomers are getting older every day and they are not rocking away on the front porch. No, they want to be active, living life and having fun. They know that eating right makes a difference and ultimately may lower their healthcare costs which continue to rise annually between co-payments and deductibles and uncovered functional medicine. Having a business in this field just makes sense. I see the value everyday that eating right makes for so many. I am not a fan of selling vitamins. When I found out about the health benefits of chocolate I was shocked. I had avoided chocolate for over 20 years not wanting to eat unnecessary calories as I was ALWAYS watching my weight. To find out that eating a Healthy Chocolate could actually be good for you, intrigued me. Honestly first I thought it was a scam, but after research it was clear this is for real. LEARN HOW YOU CAN GET PAID GIVING GIFTS OF CHOCOLATE! CAN YOU GIVE GIFTS? THEN THIS IS FOR YOU! I got in Beyond Healthy Chocolate after extensive research and after learning that Beyond Chocolate uses a patented cold press technology that does not heat the chocolate. This makes the chocolate high in flavanols and Antioxidants. I have not found any other company that offers the flavanol and antioxidant content of Beyond Belgian Chocolate. If you want to get paid to help others improve their health eating SOMETHING THAT NINE OUT OF TEN PEOPLE CRAVE, then this is where you need to be. 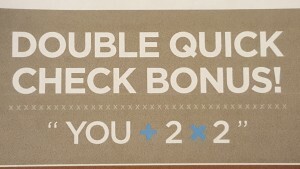 Now through APRIL, 2016, you can even earn double quick check bonuses! Earn up to $300 each and every time you sign up a new business associate. This is just your initial bonus. You simply sign up 2 people in a commission period and you earn DOUBLE COMMISSIONS! There are so many ways to get paid and always great incentives like cruises, car allowances and cash prizes for contests. Get paid to make a difference, pay off those bills from the holidays and start moving in the right direction. Focus on the flexibility you have with your own home based business. Instead of spending a small fortune opening up a franchise with franchise fees, the brick and mortar building costs, employees and more, see how easy and affordable it is to get started in a business where you can work on the beach, on the deck or from your home office where you have more time to spend with family. The choice is yours. 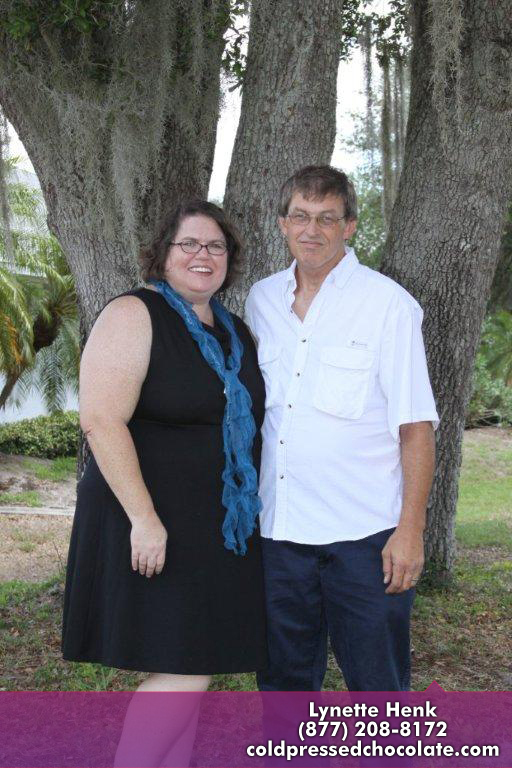 Contact Lynette Henk of Three Sons Marketing LLC in Southwest Florida. 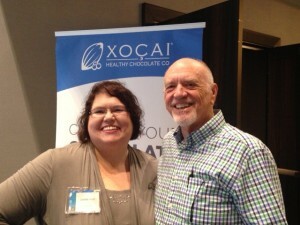 Here I am shown with one of our Millionaire Chocolate Mentors, Butch Swaby. We have an amazing up line of support. I would love to have you talk with Butch. Leave me a message and I will set it up. You don’t want to miss, Beyond Chocolate is headed into hyper-growth. Your time is NOW. CALL 941-216-5727 or visit MYCHOCOLATESOLUTION.COM. We can help you grow your business across the country. We are poised to be the next Mars. Don’t miss out. The timing is NOW.